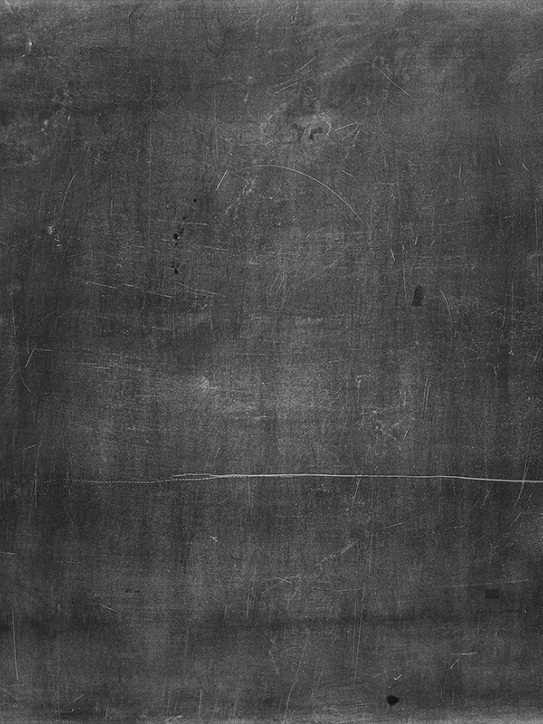 The branch of mathematics concerned with the study of vectors, vector spaces (also called linear spaces), linear maps (also called linear transformations), and systems of linear equations. 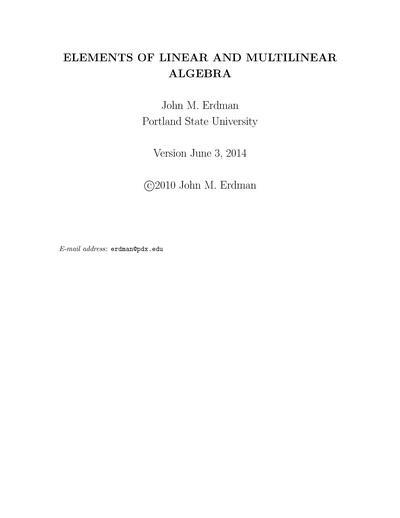 An introductory textbook of linear algebra. Teaches the fundamental concepts and techniques of matrix algebra and abstract vector spaces. 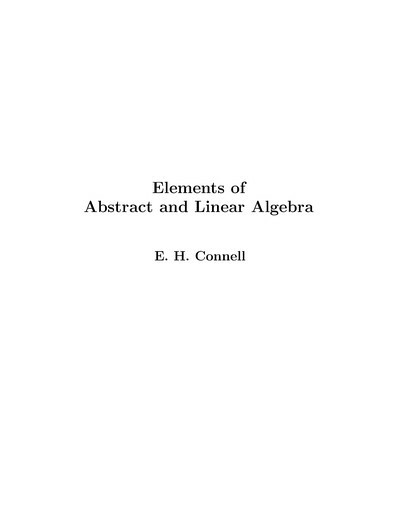 An open-source textbook that is designed to teach the principles and theory of abstract algebra to college juniors and seniors in a rigorous manner. This text provides a thorough introduction to modern or abstract algebra at a level suitable for upper-level undergraduates and beginning graduate students. Covers LP formulation and the underlying assumptions, graphical solution on 2-var LP's, generalization to the n-var case, Basic Feasible Solutions and the Simplex Algorithm. The present text book contains a collection of six high-quality articles. In particular, this book is devoted to Linear Mathematics by presenting problems in Applied Linear Algebra of general or special interest. A sophomore level book on linear algebra and n-dimensional geometry with the aim of developing in college entering undergraduates skills in algorithms, computational methods, and mathematical modeling. 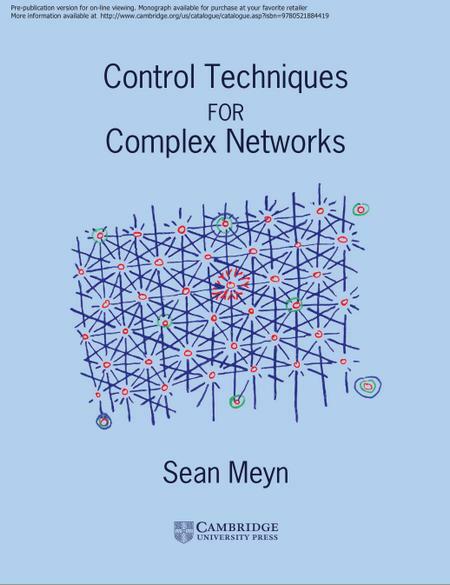 This book gives the tools and philosophy you need to build network models detailed enough to capture essential dynamics but simple enough to expose the structure of effective control solutions and to clarify analysis. An introduction to linear algebra, based on lectures given by the author at the University of Queensland. 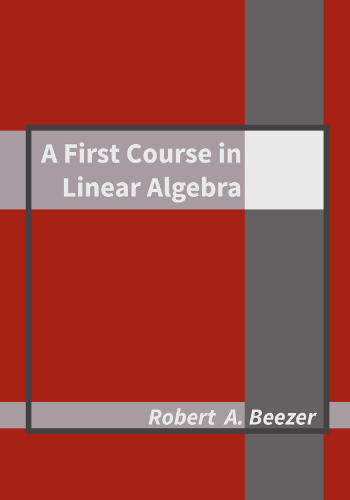 Covers the basic problems of linear algebra: solving linear equations, constructing a basis for a vector space, constructing a matrix which represents a linear transformation, eigenvalue-eigenvector and diagonalization. 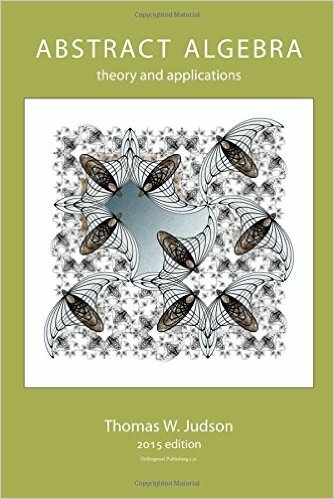 A survey of abstract algebra with emphasis on linear algebra, presented in a compact and tightly organized, but still somewhat informal book. 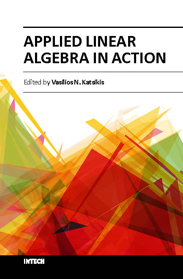 This set of notes is an activity-oriented introduction to the study of linear and multilinear algebra. Presents basic concepts in linear algebra such as vector spaces, basis, inner-product spaces, and linear transformations. Also shows how abstract concepts can be applied in various problems. This book is addressed primarily to second and third year college students who have already had a course in calculus and analytic geometry. 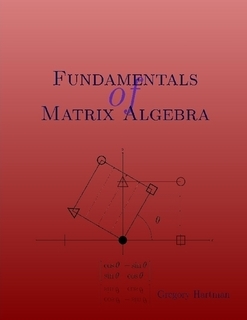 A college-level (or advanced high school) text dealing with the basic principles of matrix and linear algebra, this text covers systems of linear equations, matrix arithmetic, and the determinant, eigenvalues, and linear transformations. 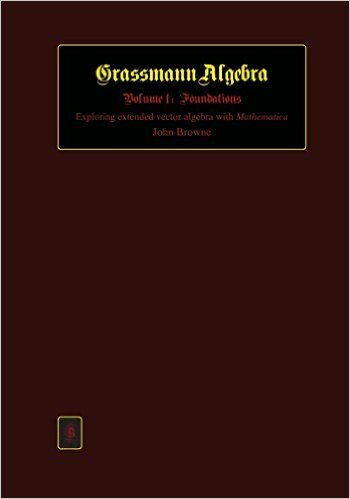 Provides a readable account in modern notation of Grassmann's major algebraic contributions to mathematics and science, by avoiding all mathematical terminology which does not make an essential contribution to understanding the basic concepts.